Call it the Markle Sparkle or the Meghan effect. Much like her sister-in-law Kate Middleton, Meghan Markle is a goldmine for the fashion industry: whatever she wears is guaranteed to sell out. Fortunately for Bay Area handbag brand Kayu, the Duchess of Sussex carried one of their sustainable clutches to the wedding she attended over the weekend. 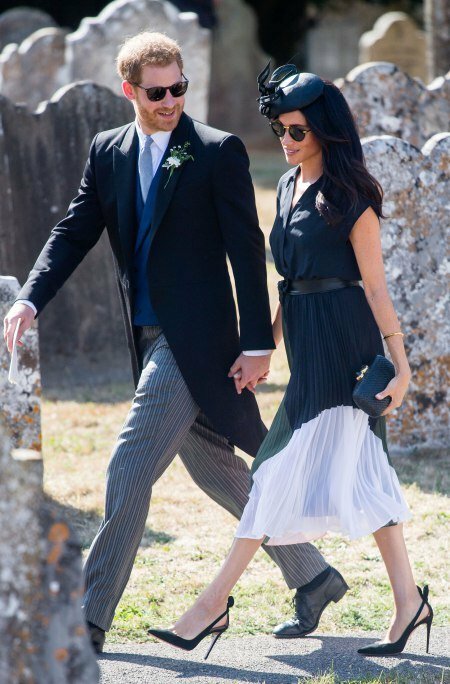 Along with her Club Monaco Dress, Philip Treacy hat, Aquazzura heels, and Linda Farrow sunglasses, Markle showed up to the nuptials with a Kayu Anna clutch ($225). The style is handcrafted by women cooperatives in the Philippines from straw, topped with natural stone clasps, and includes an optional drop-in chain strap. Already, the company has been flooded with new orders, announcing that—due to demand—all orders will be shipped between August 15 and 31. This isn't the first time Markle has sported a Bay Area brand, and it (hopefully) won't be the last. Last year, she carried an Everlane to the Invictus Games, and she regularly wore her Birdies Blackbird slippers while living in Toronto. Wanna be clutch buddies with the Duchess? Order your Anna clutch right here. Just keep in mind that it will take a couple extra weeks to arrive. Blame it on the Markle Sparkle. Circle Bag? Belt Bag? Why Not Both?